Kilimanjaro's Hermits: Kilimanjaro's 100th Blog Post Spectacular! Kilimanjaro's 100th Blog Post Spectacular! I can’t believe it’s finally happening. Nearly two years and one hundred posts ago, Kilimanjaro’s Hermits was just starting. I had no idea how much my passion for crabbing and experience would grow. 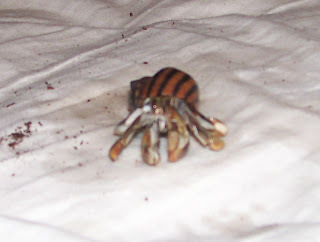 This is truly a milestone in my crabbing experience. 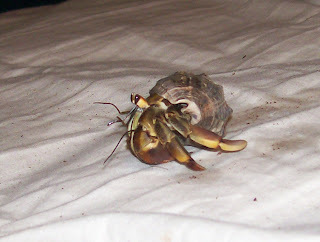 What started out as a simple journal became a great guide to land hermit crab care filled with different articles and ideas. 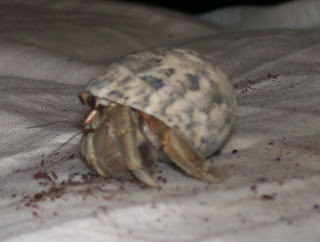 I am proud that Kilimanjaro’s Hermits has grown so much! For this 100th blog post, I will be discussing a lot! There are plenty of updates to give as my clan is constantly growing and becoming larger. 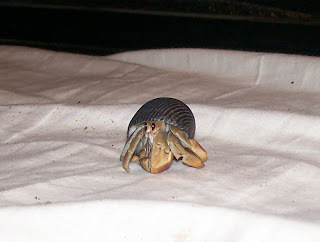 Recently, I acquired three Straws and four Violas from Hermit Crab Vendor. Well, all of the Violas except one have molted, I know. Two have been named, Vladimir (male) and Vida (female). The other two are unknown. All of the Straws are active and have been named, Kalahari, Sahara, and Helios. 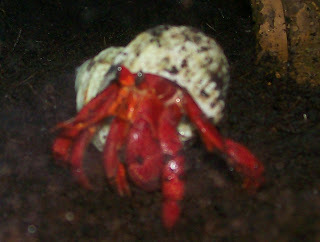 Additionally, Mako, the crab I’ve had for three years in August, has molted his sixth time for me. He’s looking so much bigger! 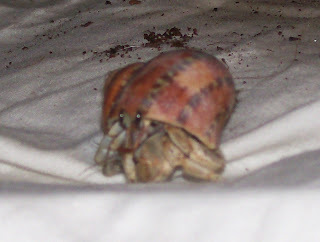 No pictures are available for this molt. The rest of the clan are doing great. 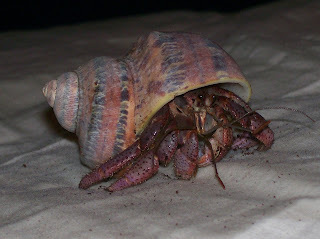 Of course, those pictures don't include the Hermit Crab Vendor violascens or perlatus, besides Kalahari who is always photogenic. And I’ve also acquired 4 new Indos and a Ruggie on this day! It’s great! Here are their pictures. 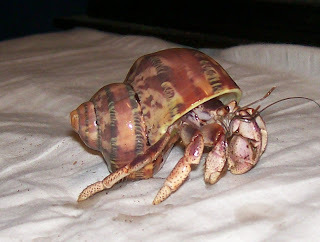 I ordered them through Hermit Crab Vendor. Sadly, the Ruggie, who I had named Yeti, died. I don’t think he did well with the shipping. The Indos seem to be doing fine. 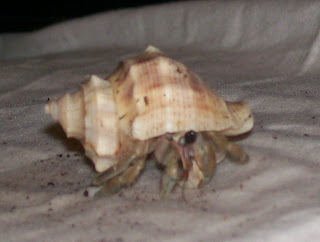 Hermit Crab Vendor will be refunding the cost of the Ruggie as I requested them not to ship another. None of the Indos have names/genders yet. 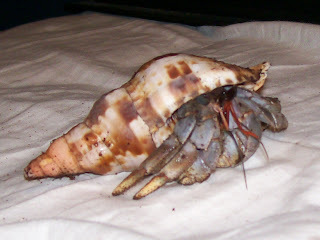 Blogger is giving me a hassle with getting these pictures up, so if you wish to see them, you can view them on my topic at the Hermit Crab Association or you can view them on Hermit Crab Central in the website gallery! And that, is my 100th post update! Finally, I would like to thank everyone who reads this blog! I’m not sure how many of you there are, but if you’re reading this post, comment and say you have read it so I know how many frequenters I actually have! You guys make posting this worthwhile. Hallo! Das blog ist sehr gut!